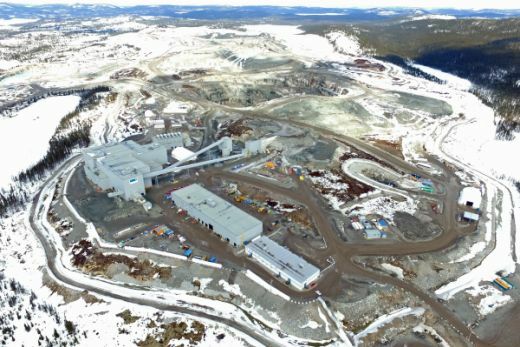 RAPAPORT... Stornoway Diamonds will halt open-pit mining at its Renard deposit in an effort to cut costs. The Canada-based miner temporarily suspended activities and shut down a portion of its equipment starting this month, it said last week. Open-pit mining is conducted at only one of the three ore bodies currently in operation at Renard. The other two are both underground pipes, which provide approximately 93% of the mine’s total production. The move will have no effect on the company’s 2019 revenue, Stornoway said. The output from its two underground deposits, combined with its current ore stockpile from open-pit operations, can sustain the company’s processing requirements into the second quarter of 2020, it added. The miner has not disclosed the length of the suspension. Revenue dropped 19% year on year to CAD 47 million ($35.3 million) for the first quarter ending March 31. The company sold 429,506 carats at two tenders, a 2.8% decrease over the same period the year before. The average price also slid 19% to $83 per carat. A higher ore grade at Renard led production to improve 56% year on year to 444,562 carats in the first quarter, Stornoway noted. However, output dropped 8% compared with the previous quarter as the miner suffered mechanical issues with its equipment due to the extremely cold January and February weather. Stornoway will make up the production deficit throughout the rest of the year, it added.